The post Fuel prices up again appeared first on Zimbabwe Situation. DESPITE government castigating business for over-pricing, there is likely to be no respite for the embattled consumer anytime soon as the price of fuel continues to go up, almost on a weekly basis. 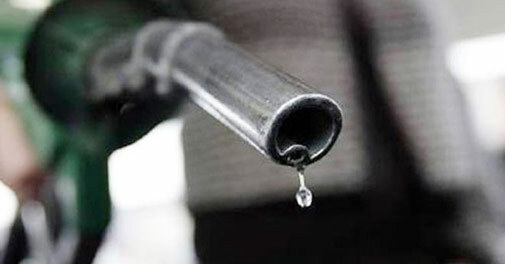 A survey by the Daily News yesterday showed that service stations in and around the country have further increased their prices by at least two cents, leaving the price of petrol retailing at a minimum $3,44 per litre, while diesel remains unchanged at about $3,20 a litre. While the weekly price increases may appear insignificant when viewed in isolation, cumulatively they are heavy on the pocket. The latest increase is the fourth in just over three weeks. At the beginning of this month, the Zimbabwe Energy Regulatory Authority (Zera) increased the price of petrol by a marginal three cents to $3,40. A week later, the price was further increased by one cent before motorists were hit by another upward adjustment a week down the line. At the time, Zera said the increases were due to a slight increase in the free on board (FOB) price. Zera is a body corporate established in terms of the Energy Regulatory Authority Act to regulate the entire energy sector in Zimbabwe in a fair, transparent, efficient and cost effective manner for the benefit of the consumers and energy suppliers. It derives its mandate from the Energy Regulatory Authority Act [Chapter 13:23] of 2011 read together with the Electricity Act no 4 of 2002 [Chapter 13:19], the Petroleum Act [Chapter 13:22] of 2006 and subsequent amendments. Regarding the latest price increase, government is blaming it on fluctuations in prices on the world market. “What I know is (that) when international prices go up, our fuel also goes up, but with only a few cents, I don’t think it’s significant and it’s not permanent if it is caused by the international price of fuel. I don’t think there is an official increase from Zera or from the ministry,” deputy Energy minister Magna Mudyiwa told the Daily News yesterday. Zimbabwe has over the last few months been experiencing intermittent fuel supplies that have left motorists stranded. The shortages, coupled with the price increases have also resulted in public transport operators hiking their fares, leaving the hard-pressed Zimbabweans in a dire situation. The rise in the cost of fuel has a negative impact on the economy, which has plunged into a recessionary heap. It has the effect of putting pressure on the cost of transporting goods as well as the ultimate price of the goods and services themselves. Already, consumers are feeling the pinch after prices of basic commodities went up exponentially from September last year when Finance minister Mthuli Ncube introduced an unpopular tax on electronic transactions. The prices were to go even higher in January after President Emmerson Mnangagwa more than doubled the cost of petrol, sparking violent protests, which left over 12 people dead following an army crackdown. Following this increase, Progressive Teachers Union of Zimbabwe dragged Mnangagwa to the High Court, arguing the decision to hike the prices by 150 percent was illegal and unconstitutional. The case is still pending before the High Court. According to Equity Axis, a financial media firm, which focuses on Zimbabwe and African businesses, economic and financial news and data provision, the demand for diesel has been increasing over the last few months. “Diesel demand has strikingly been increasing over the last few months and the government notes that the gain is due to regional truckers taking advantage of the lower cost of fuel in Zimbabwe relative to the region when the RTGS to USD parallel exchange rate is factored. “Energy demand broadly remains high, with diesel imports coming in at a year high of $127 million. Our view is that the import structure is largely in shape with minimal excesses and should cautiously be managed rather than aggressively suppressed. Suppression through substitution should be systematic and should follow market principles with little inclination to controls where necessary. “The only sustainable way of managing Zimbabwe’s external trade position in our view is through increased local production and exports. However, to spur production, companies need competitive and affordable capital to retool as well as viable utility costs,” the organisation said. The post Buyanga lined up as speaker at World Business Leaders Summit appeared first on Zimbabwe Situation. 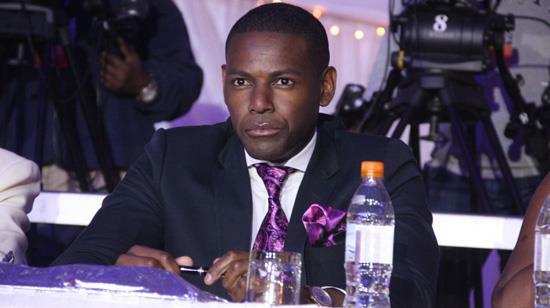 Businessman Frank Buyanga has been booked as one of the key speakers for the World Business Leaders and Honours Summit, scheduled for the Lady Majestic 71, one of Dubai’s 5-star luxury yacht. The summit, to be held in partnership with some of the leading business schools in the world, announced on Tuesday that the African Medallion Group founder will deliver a speech at the event, scheduled for April 27 and 28, according to a news release. Revolution in Emerging Markets for Sustainable Impact”. Buyanga will join over 200 business leaders from across the world for the 2019 world summit in the most populous city of the United Arab Emirates. The two days’ event will start with an Executive Business Masterclass in partnership with some of the leading business schools and training institutes to provide the latest thinking, tools and techniques on growth strategies, innovation insights and amazing success stories on business transformation and different tactics used by companies to reinvent their business models to achieve sustainable growth. The second day will be a highly focused networking dinner and award ceremony scheduled to hold on Lady Majestic 71, where Buyanga – one of the youngest millionaires in South Africa – will deliver his speech. He is known for his career as an African businessman, a trusted financial adviser to presidents and former presidents within and around Africa and is the founder of the AMG. This is one of the institutions he founded in early 2017 which was periodically in the media for surpassing the R1 billion threshold in gold reserves in less than one year after its inception. general standards of living of inhabitants of the African continent. Born in the United Kingdom, Buyanga holds a degree in Economics and Finance from North London University and has over 20 years experience in the business and entrepreneurship arena. Between the years 2000 and 2004, he owned and was operating a pound shop in Stratford in the UK, and opened up a garage based in Illford. Over and above this, he operated a financial advisory and mortgaging farm based in Cavendish street in London. Africa, with his base being South Africa. In 2016, Buyanga was elected as board member of the Pan African Business Forum and has held the office of executive director for Small to Medium Scale Enterprises since then. Hamdan Bin Mohammed Al Nehayan’s private office, creating significant deal flow and partnerships from Europe, Asia and MENA regions. This year’s event is expected sell out early. The post EDITORIAL COMMENT : Plant trees to save future of tobacco appeared first on Zimbabwe Situation. “Wake up and smell the tobacco!” That is what you say to someone sitting on US$21,5 million meant for responsible and sustainable farming of the golden leaf. As we reported yesterday, the money collected under the Tobacco Levy since 2015 has not been disbursed because of “administrative bottlenecks”. And because of such inaction, we risk losing our major cash cow and our forests. Talk about killing the proverbial golden goose! The World Health Organisation (WHO) estimates that, worldwide, over one billion people smoke. Although WHO is not particularly excited by this fact, it is sweet music in the ears of local tobacco farmers. Last year, tobacco sales hit a record 250 million kilogrammes worth $729 million. As a crop, tobacco quickly gained ground as the corner stone of the land reform success story. In fact, tobacco is Zimbabwe’s single largest foreign currency earner. With Zimbabwe experiencing crippling foreign currency shortages, which have seen the country struggling to import adequate essential commodities such as fuel and medical drugs, inflows from this year’s crop are expected to improve the situation. However, the success of the crop has not been without its flaws. The environment carries the deep scars of thriving tobacco production. In a bid to ensure that the economic benefits derived from tobacco production do not destroy an even more valuable natural resource, Government, the Tobacco Industry and Marketing Board (TIMB), farmers and other stakeholders came up with an afforestation programme which would also address global concerns raised by anti-tobacco movements. In line with this noble cause, the Tobacco Levy was introduced in 2015. However, bureaucracy has reared its ugly head. This is despite the fact that the tobacco industry is battling to meet the 2020 Global Tobacco Cigarette Companies Guidelines on producing the crop in a sustainable way. The Global Tobacco Cigarette Companies Guidelines state that as from 2020, international buyers will no longer be accepting tobacco that has not been produced in a sustainable manner, including that which is cured using coal. Government introduced the levy, meant for afforestation, in January 2015 and it was levied on all tobacco farmers at a rate of 1,5 percent in the first year and 0,75 percent in subsequent years. TIMB chairperson Mrs Monica Chinamasa blamed the delays in the distribution of the fund to administrative bottlenecks. “Farmers are fighting to meet the global market requirements, but bureaucratic bottlenecks have come into play. We were told the funds must have a constitution that is passed by Parliament and it dragged on and on. “Before the new Cabinet, three ministers responsible for Lands, Environment and Agriculture met and agreed that all the money should move to the Ministry of Agriculture then TIMB would access that money for farmers to grow trees as they know the growers. “It is critical that our farmers grow trees or else the global market will not buy our tobacco,” she said. Such “administrative bottlenecks” must be frowned upon. The tobacco industry must be given the attention it deserves. Strange as it may seem, Zimbabwe is not alone. In Malawi, which is the world’s largest producer of burley leaf tobacco, the annual cost of tobacco-related deforestation has been estimated at US$6,4 million. Tanzania — one of the top three African producers together with Zimbabwe and Malawi — is also facing the same problem of deforestation. Why fast-growing trees like the eucalypti are not being planted remains a mystery. Eucalypti, also known as gum trees, are used around the world for reforestation, in part because they grow fast. Farmers can expect to use them within five years, instead of waiting 20 years, which is standard for many other trees. 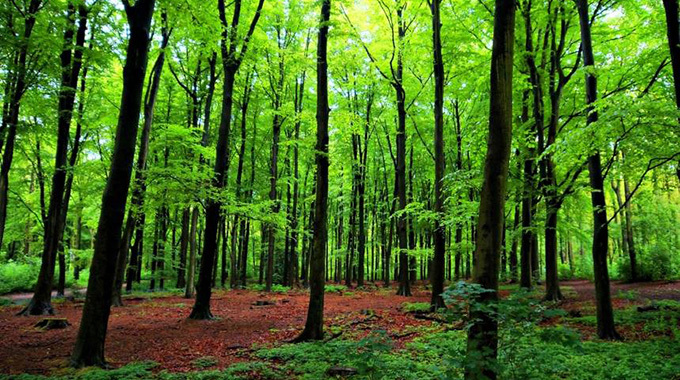 In Zimbabwe, the Forestry Commission has targeted to raise 25 million gum tree seedlings and five million assorted tree seedlings of fast growing tree species that can provide fuelwood. Research is also being done by the Tobacco Research Board on the use of solar energy, ethanol and biogas for use in curing tobacco. We urge the responsible authorities to act, and fast. We need the forex from tobacco and to get the money we need the market. The market demands that we be responsible, and that is not an unreasonable demand. In any case, the trees to be planted are for Zimbabwe and not the market. We cannot afford to have US$21,5 million lying idle. Let’s plant the trees not only for ourselves, but for future generations. against the wall after he was sent back home from school for not having a pen. defrauding six shops of about $20 000 using edited EcoCash messages. appeared before Harare magistrate Mr Francis Mapfumo. where he was supposed to be guarding.